Technology has opened a whole new world of information for the medical community in the form of materials available online which provides online consultations, electronic medical record etc, advancements in surgery such as robotic surgery, the ability to access and interpret vast amounts of data using technologies like AI, Machine Learning and Internet of Medical Things (IoMT). We need to use technology responsibly and with positive intent to make it beneficial for the patient and the health care provider. Technology has opened a whole new world of information for the medical community in the form of materials available online which provides online consultations, electronic medical record etc, advancements in surgery such as robotic surgery, the ability to access and interpret vast amounts of data using technologies like AI, Machine Learning and Internet of Medical Things (IoMT). IoT has the potential to fundamentally change the way healthcare industry operates, leading to improved patient care. The easy availability of information on the web has certainly helped countless people make educated decisions regarding their health, sometimes, triggering a timely visit to the doctor. Use of technology is helping hospitals, clinics and diagnostic centres to conduct their work in more organised fashion. It helps in saving everyone’s time by maintaining electronic medical records, organize online appointments system for patients, blood reports sent as a soft copy to the patients, which are easy to store and can be accessed easily when required. Technology is helping physicians as they can access reference articles more easily and search through them in a very short time. 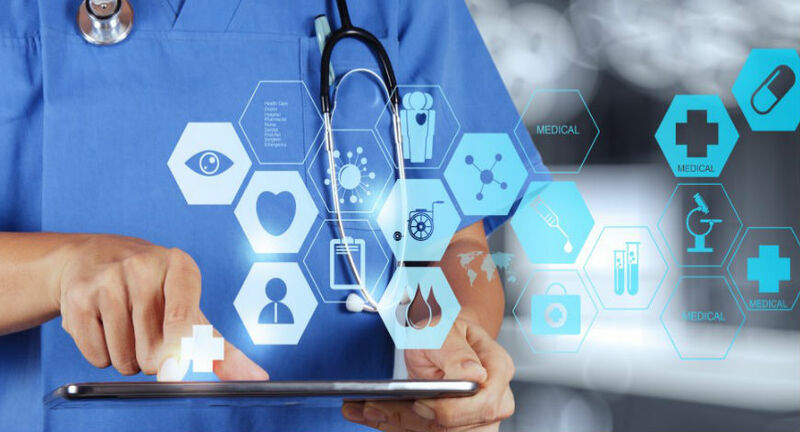 Lot of electronic medical records software which are nowadays available in hospitals are used by physicians, to help in maintaining patient records easily and can be accessed when needed. It also allows physicians to give patients printed prescriptions which will be easily legible and avoid the risk of wrong dispensing of medications by the pharmacy. However, use of all these technologies would add to the cost of health care. Physicians are also using social media to promote patient health care education. They tweet, make blog posts, record videos, and participate in disease-specific discussion forums focused on patient education. Such forums provide an important opportunity for physicians to distribute evidence-based information to counter inaccurate material on the Internet. Disease specific patients groups can also help patients with similar diseases to be able to connect to each other, share their experiences so that they are able to handle the disease better. A lot of moral support can be gained by patients through these groups. Government health department and other verified websites, for instance, is being utilized to communicate measures and tips regarding seasonal illnesses or infectious diseases. With increasing internet penetration, this information is available to all. In addition, doctors use the social media and news outlets to reach out to their patients and to create awareness. Physicians most often join online communities where they can read news articles, listen to experts, research medical developments, consult colleagues regarding patient issues, and network. Doctors are able to connect with experts in other parts of the world in seconds and share best practices or seek counsel in times of complex medical emergencies. Online consultations still needs to get more settled with regard to what can be treated without examining a patient in comparison to consultation done in person. Physical examination of a patient is a vital step of medical examination as it allows a physician to diagnose and prescribe appropriate medications to the patient which is not possible in case of online consultation. The advantage of consulting a physician personally is that it helps in monitoring certain conditions like diabetes, where medication adjustments are done based on blood sugar readings. There is a lot to be done to make online consultations a viable long term option. However all these avenues need to be utilised with caution. On the downside, abundant material available online can create confusion and may sometimes seed unwanted fears in the minds of patients and increase instances of self-diagnosis. Many websites offer inaccurate information or that has not been verified by a medical professional. In recent times, a term called ‘cyberchondria’ had been coined to denote the unfounded escalation of concerns about common symptomology based on review of search results and medical literature online. Internet has made being a hypochondriac much easier in that regard. Besides, hypochondriacs are often not careful about where they get their health information. This can lead to serious trouble for hypochondriacs using the vast and unregulated web. Another major concern regarding the availability of information online is the problem of self diagnosis and self treatment, which can be dangerous sometimes. Easy availability of all medicines in India, without presenting any valid prescription, adds to this problem. Every physician nowadays comes across patients who have consumed unwanted medicines as part of self-diagnosis. It can be considered a boon for rural and remote areas where availability of medical expertise is poor. It’s always best to consult a doctor before taking any medications. We need to use technology responsibly and with positive intent to make it beneficial for the patient and the health care provider.